Instead of giving you the usual information – Patrick Page was born on 17th March 1929 etc, we thought that we would let you know some of the more unusual facts about Pat. 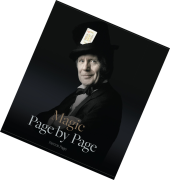 If you have any facts that you would like us to include please let us know at sales@patrickpagemagic.co.uk. Music was another of Pat’s interests. He particularly liked folk/country music and greatly admired the talents of Woody Guthrie, Willie Nelson and Johnny Cash. Patrick acted as adviser ton many magicians and few, if any magic consultants did not have Patrick’s telephone number. 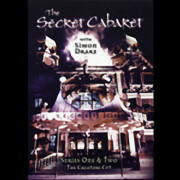 He acted as adviser to many well known magicians and entertainers. One such entertainer was Derren Brown. A close friend Charles Reynolds who was magic consultant to the Canadian magician Doug Hemming told us after Patrick’s death that the idea for his famous water fountain floating routine was Patrick’s. Patrick worked on the Big Trick Show as a consultant and had a huge influence on the early career of magician and now presenter, Stephen Mulhern. The programme won a BAFTA. Patrick was not interested in attending the awards ceremony. He was a good singer himself and in the early days of his career, often finished his act (usually the second spot) with the song, ‘Life is just a bowl of cherries’ The second spot also included impressions of Billy Eckstein, Louis Armstrong and Bing Crosby. Pat could get a tune out of most instruments. His favourite’s included, guitar, banjo, concertina, and penny whistle. In the 1950’s Pat worked under the stage name of Ricky Page to avoid confusion with the American Singer Pattie Page. On our gallery, there’s a publicity shot for Ricky’s appearance on the David Nixon show. Pat Page worked for Davenports in their shop opposite the British Museum between 1962 and 1975 (13 years and 10 months exactly) as Manager and demonstrator. Pat Page helped out Betty Davenport and her family by running Tam Shepherd’s the magic shop in Glasgow for 6 weeks. Magician Roy Walton and his wife Jean (Betty’s sister) took over from Pat on a temporary basis and have been there ever since. The paper bag flick gag used to such great effect by the comedian Eric Morecambe was invented by Patrick Page. In October 1975, the Mermaid Theatre in London put on a short play written by Patrick Page called “One Way Ticket to Paradise”. In his youth Pat was a very competent dancer. In the 1960’s he took tap dancing lessons from Old Time Music Hall star Eddie Connor. Pat performed as one of Santa’s little helpers in the 1985 film Santa Claus – The Movie starring Dudley Moore and John Lithgow. Pat got interested in magic after reading a Will Goldston book he bought in a second-hand book shop. Pat could juggle 4 balls/clubs quite well and 3 balls/clubs very well. His two favourite magicians were Al Flosso and Jay Marshall. He couldn’t choose between them. They were both so different but both were class acts. Pat was teetotal. This was because his father was a heavy drinker and died young. In the 1960’s Pat was in the running to be the compere on the TV show “Sunday Night at the London Palladium” At that time they were looking for someone with a regional accent. In the end the job went to an unknown – Jimmy Tarbuck. Early in his career Pat did a harmonica act with his good friends, musicians John and Kath Maxim. The Kitson Miracle, Pat’s version of the three card trick wasn’t named after a famous old magician as many believe. It was named after the road he lived in for over 20 years, Kitson Road, in Camberwell, South London. Pat had a cameo role as a German magician performing a cigarette routine in the 2007 UK film “Magicians”. The film starred David Mitchell & Robert Webb and had its UK television premiere on ITV on Sunday 5th December 2010. In March 1950, Pat married his childhood sweetheart, Margaret Manzie. They were happily married for over 53 years when she passed away in November 2003. Pat received a phone call from a friend of his in America to ask him to look after an up and coming magician who was visiting London from the USA. Pat showed him around London, which he was able to visit anonymously. That magician’s name was David Seth Kotkin. He is now much better known and goes by the name,of David Copperfield. Patrick loved the USA and after his first visit in 1966 went every year until his death in February 2016. One of his favourite conventions was the FFFF Convention and he was invited to attend most years. In his honour a Patrick Page Memorial lecture is held every year at the FFF Convention. Patrick would never talk about the many honours and awards that he received. He received all of the awards at the Magic Circle with the sole exception of the literary award. Despite the success of his Big Book of Magic publication this was the one notable award at the Magic Circle that he did not obtain. Magic Page by Page was finished by Patrick a week before he died and publish posthumously. Patrick died at Guy’s Hospital in London on 11th February 2010 aged 80. In November 2011, Pat’s ashes were scattered, together with those of his wife Margaret, near the Black Watch Soldier Memorial in Dundee, Scotland, a favourite spot.